Tensions commonly build between landlords and their tenants simply because both sides often don’t understand the complex web of laws, regulations, legal rights, and responsibilities that apply to both of them. This can lead to poor business relationships and poor living conditions. Whether you’re the owner or the renter, the attorneys at Dudley and Smith, P.A. can be your guide to navigating the complex world of landlord/tenant law. Landlords must follow dozens of laws relating to many complex legal issues, including housing codes, building permits, occupancy requirements, mold prevention, and heating regulations. Landlords also have the right to collect the rent that the tenant agreed to pay and have the right to deduct costs for repairs of the living space from the tenant’s security deposit. Whether you need help understanding your obligations to renters or your rights in collecting rent, the attorneys at Dudley and Smith, P.A. are on your side. Tenants in Minnesota have a right to a space that is suitable for human habitation. That includes basic amenities like running water, electricity, heat, and protection from the elements. All common areas such as hallways, stairs, and fire escapes must be in safe and clean conditions and up to applicable building and safety codes. Tenants are also protected from discrimination by landlords. These many complex legal issues leave some landlords confused about the law, which can leave renters in the cold. If you’re having difficulty getting your landlord to fix a leaky pipe, or turn on the heat, the attorneys and Dudley and Smith, P.A. will help you get what you deserve: proper housing. 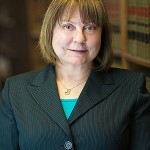 Gloria E. Bogen has over 30 years of legal experience, including 15 years as the Lead Staff Attorney at the non-profit Legal Assistance of Washington County where she provided free legal representation to low-income family law clients. Her experience ensures you will receive the most professional, ethical and effective representation for your family law issues. 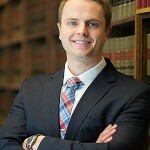 To speak with an experienced family law attorney, contact Minnesota law firm Dudley and Smith, P.A. today at 651-291-1717.